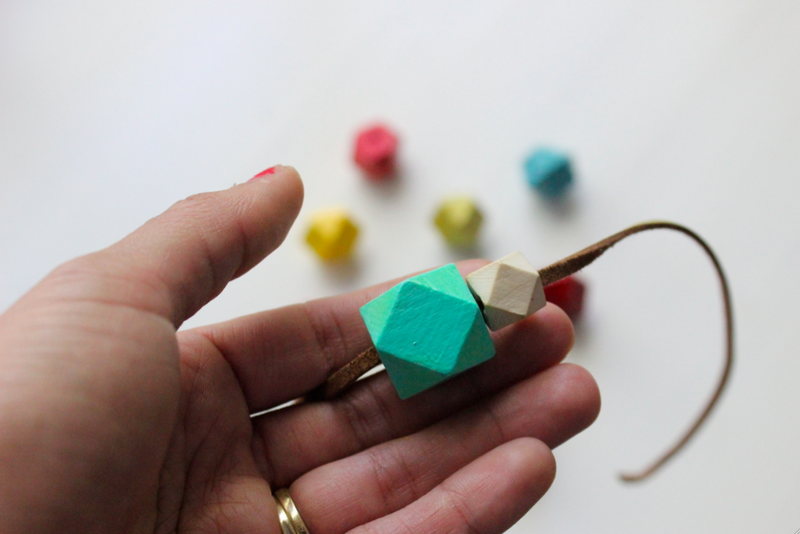 A couple weeks ago, I ordered these wooden geometric beads from etsy. I got them in two different colors, and sizes. 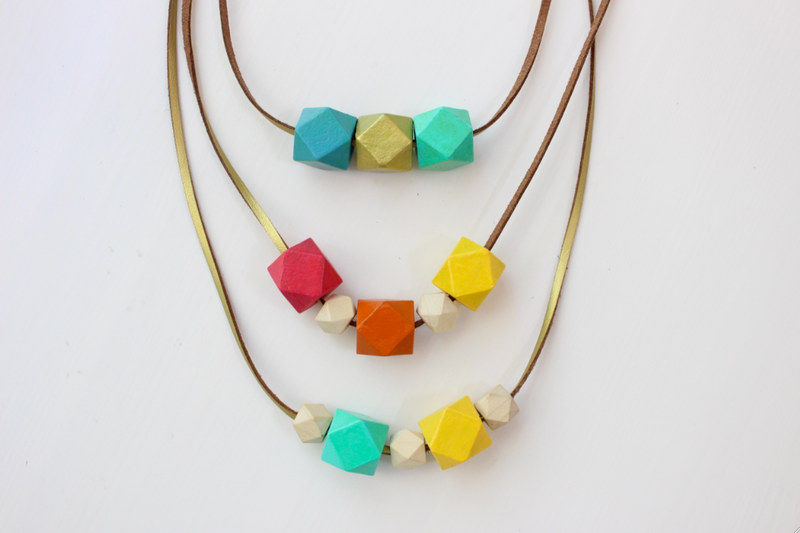 My plan was to make simple statement necklaces. 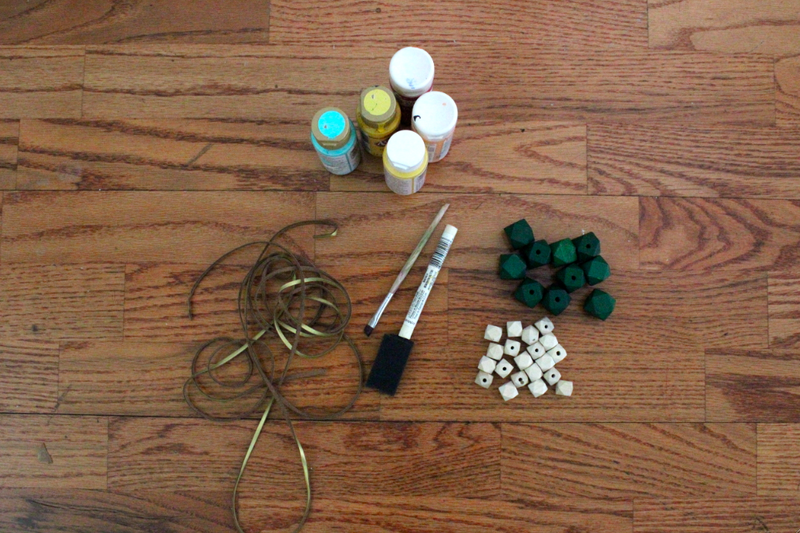 And this past weekend, all my supplies came in the mail. When I got the beads, I had an idea of painting the beads with bold colors. I decided to use simple acrylic paint since I have a ton of colors to choose from. 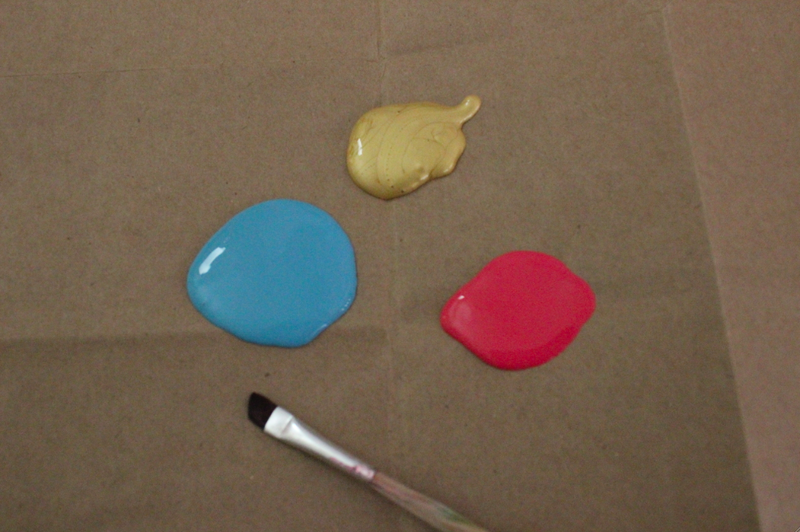 With my acrylic paint, I kind of went with a bright summer color scheme. I had these colors already, but one thing to take note is that if you're buying acrylic paint for this, choose a satin or gloss. If not, do not worry. That's why we have decoupage glue to seal and gloss it a bit in the end. 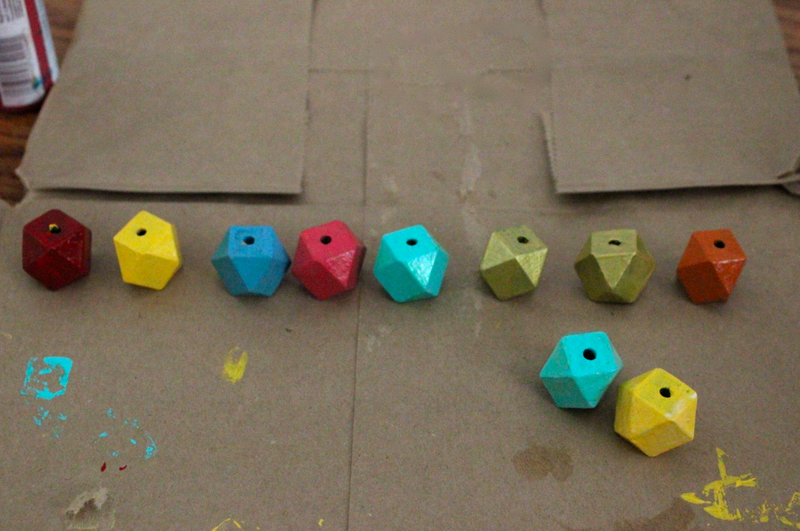 You can start painting your bead. I used a metal stick to hold up the bead and it also made it easier to paint. I originally was going to use the beads as is, but since I got it in a speciallty dark color, I knew a lot of paint layers were due. 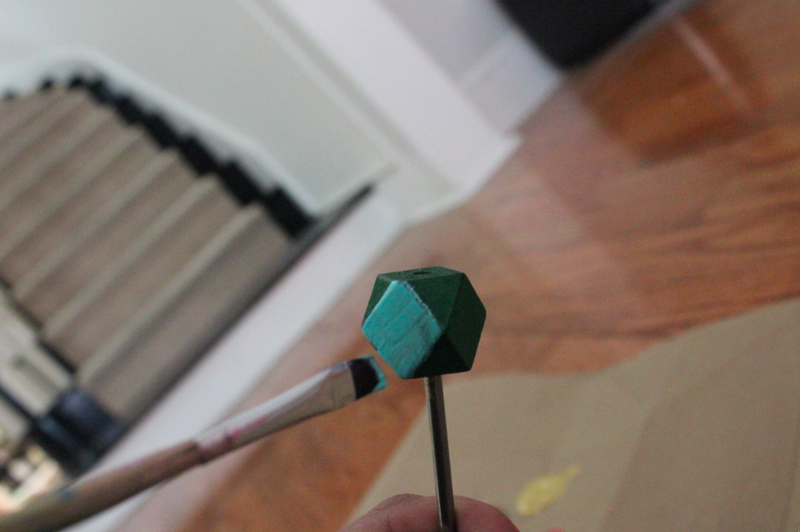 So make sure to buy in the natural wood so the color can pop and painting process is easier. After I painted a color on, I let it dry for about 5 minutes, and painted it again. My beads all had 4 layers of paint. As you can see, I went with lots of colors and brights. After I painted all my beads, the ones that have regular acrylic paint (as opposed to the satin/gloss ones), you need to use the decoupage glue afterwards. 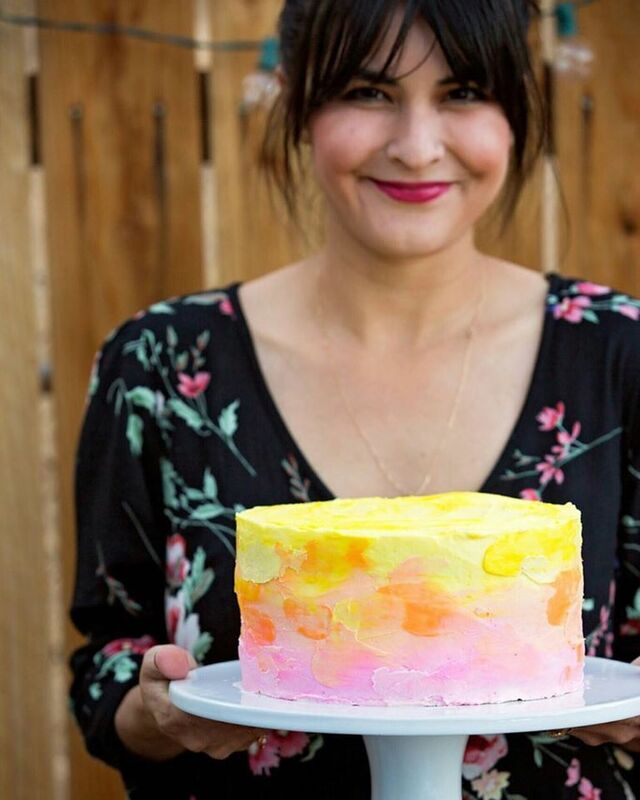 The reason being is if you you use regular acrylic paint, it tends to paint a little chalky and more prone to scratching the color off easily. Like I mentioned earlier, the decoupage glue acts as a sealer, and adds a bit of a gloss. 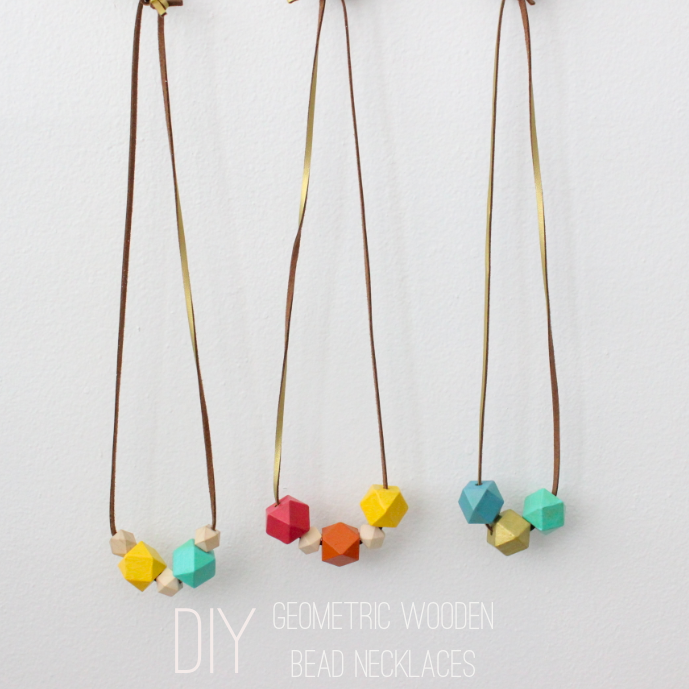 Give your beads about 45 minutes to dry. Once your beads are all dry, you can start threading your leather lace into your beads and create designs and patterns. 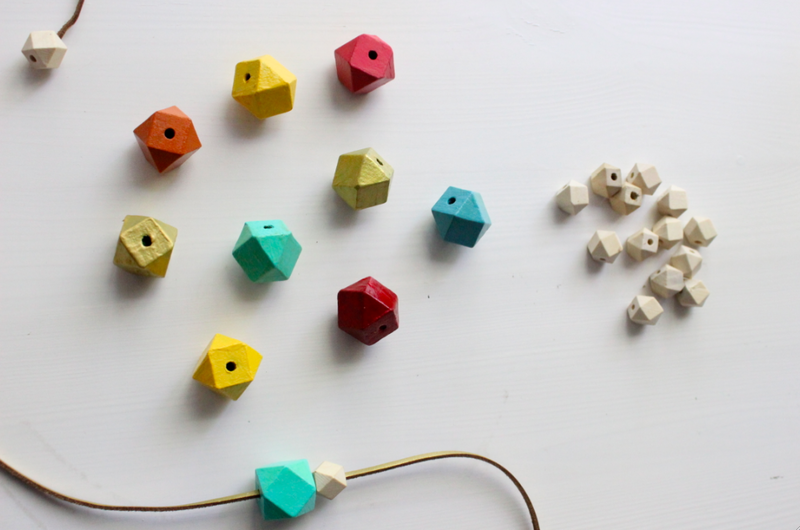 As you can see, I also have smaller geometric beads in natural wood color. I wanted mix and match the colors so I left the smaller ones in their natural color. You can paint those too if you'd like. 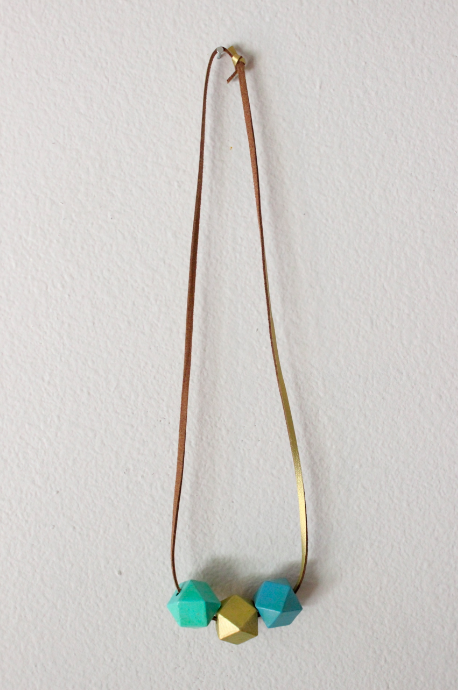 Once you decided on a length for your necklace, cut your leather lace to size. And simply tie a tight knot at the ends. Here are my three designs. I love them all. 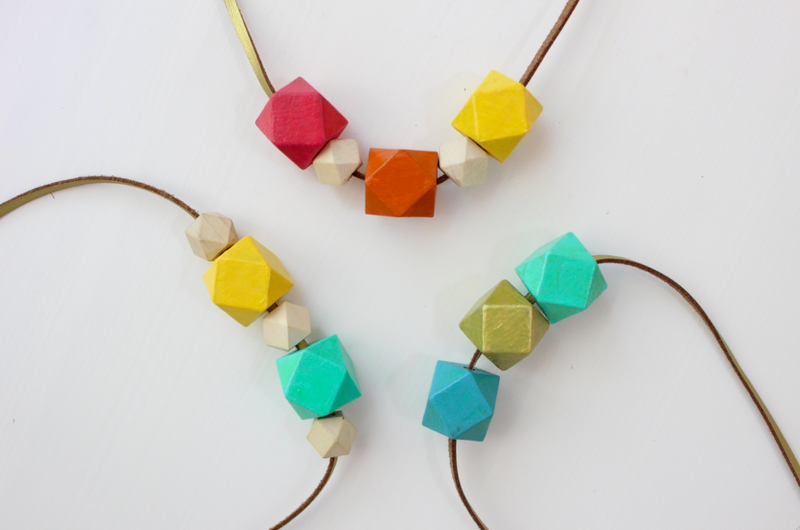 These necklaces are so very easy to make, and I'm sure they will make any outfit pop! Now, to wear them out!